Road Trip to Chichén by Way of Cobá, Day 2 — Bring. Your. Cash. | Cardinal Go! 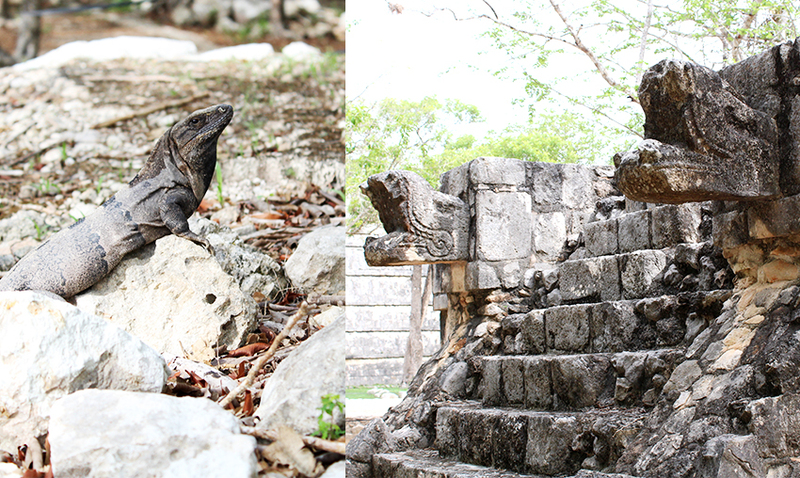 Some lesser known but very impressive sights in Chichén Itzá are the reptiles that guard this ancient city. Before you take off on your road trip to Chichén Itzá, take my advice: bring your cash — and plenty of it. The state of Yucatán seems to have a pandemic of non-working credit card terminals. Or businesses that don’t accept plastic money. 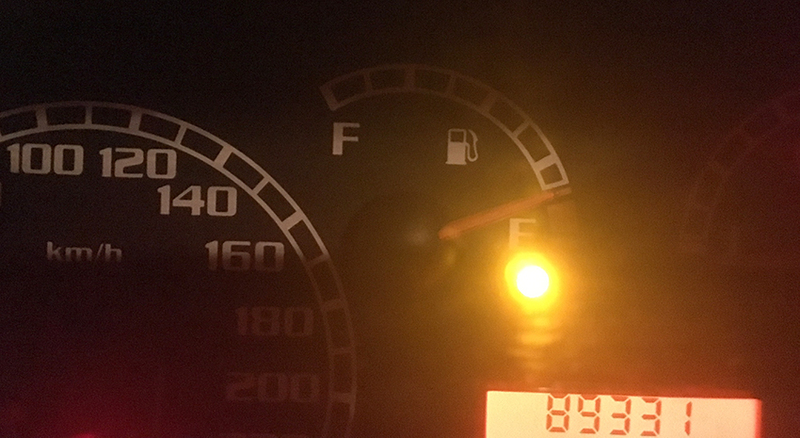 This is key knowledge, especially when fueling your vehicle, which also presents its own problem — there’s a minuscule number of gas stations along the 90 miles of freeway between Cancún and Valladolid. I found out the hard way when we headed back to Cancún from our weekend road trip, exploring Chichén by way of Cobá and Valladolid. But I’ll come back to this problem at the end of the post. For now, let’s focus on Chichén Itzá. 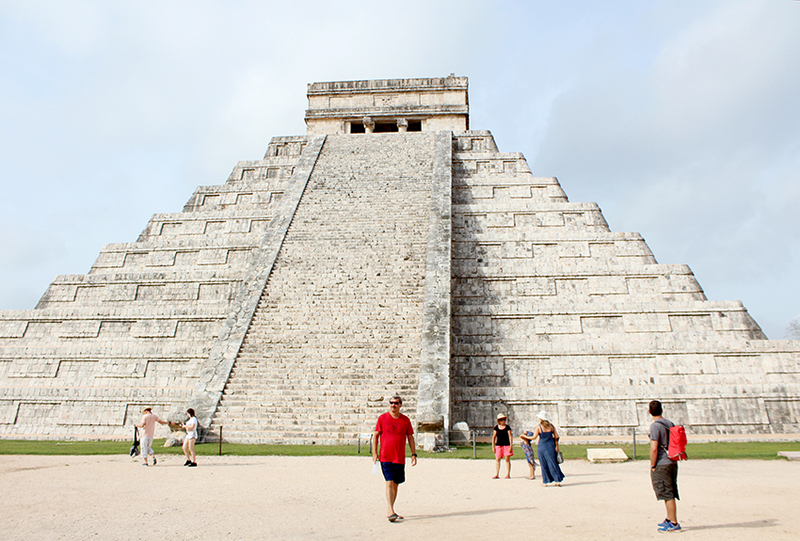 Unfortunately, rows upon rows of merchants will be your first view inside Chichén Itzá. After we’d spent Saturday afternoon in Cobá and Valladolid’s Zací cenote, we arrived to the hotel across the street from Ik-Kil cenote, an 85-foot deep hole in the ground that’s full of water and way too many tourists. 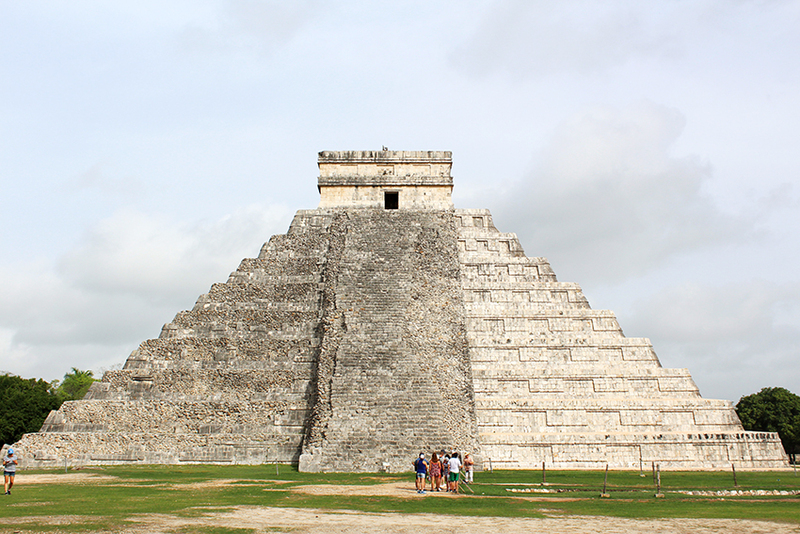 From the hotel, Chichén Itzá was only 7 minutes away. So on Sunday morning, we woke up bright and early to have our included breakfast before heading to the ancient city. Because Chichén opens its doors at 8 a.m., we came to the ticket office right at 8 a.m. Mexican Standard Time (add about 20-30 minutes to the scheduled start time). It was the perfect time to visit — we had the whole ruins almost to ourselves. Mexican citizens and residents enter any archaeological site in the country for free on Sundays, Chichén being no exception, so we only had to pay for my Russian in-laws. The feeling of actually standing inside Chichén Itzá is unlike anything you read in the history books as a young Mexican kid. Eyes may have watered, goosebumps might’ve grown. For a moment I stepped outside of myself and was transported to another time, another era, another place as I stood in front of the legendary Temple of Kukulcán. I could visualize this city coming to life, with the wise kings and priests climbing to the pyramid, warriors at the foot of the structure, and ordinary people paying tribute to the feathered serpent god for whom the pyramid was built. I started to remember when I was a third-grade Mexican living in Texcoco, reading the history books that described Chichén Itzá as some remote, unreachable place, way beyond the comfort of the central valley of Mexico. Chichén Itzá is best viewed early in the morning, before the enormous tourist crowds arrive. 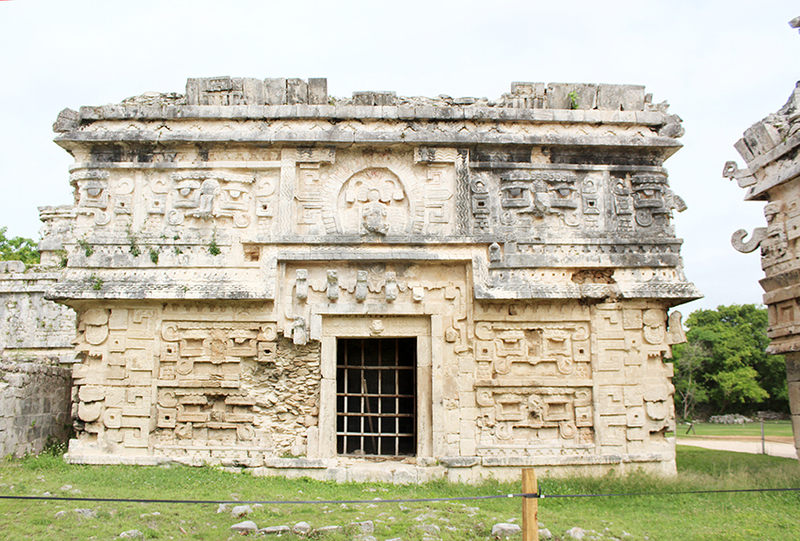 I took so many photos of the Temple of Kukulcán, looking at the intricate architecture, the patterns on the two descending snakes along the stairway, the temple at the top of the pyramid. Up until a few years ago, tourists were allowed to climb to the summit. But after one of those tourists fell to death, this became forbidden. The Temple of Kukulcán from another angle. Frankly, prohibiting human steps is a necessary measure to preserve the majesty of the pyramid — it’s a “New 7th Wonder of the World” for good reason, after all. 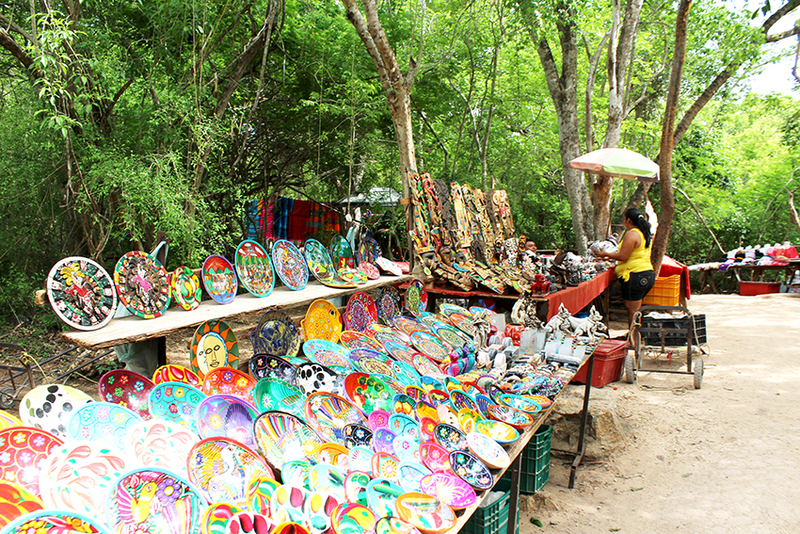 If this was the only sight I had in Chichén, I would’ve been happy. But luckily, the site is so expansive and full of temples and structures, that we continued exploring and seeing more marvels. 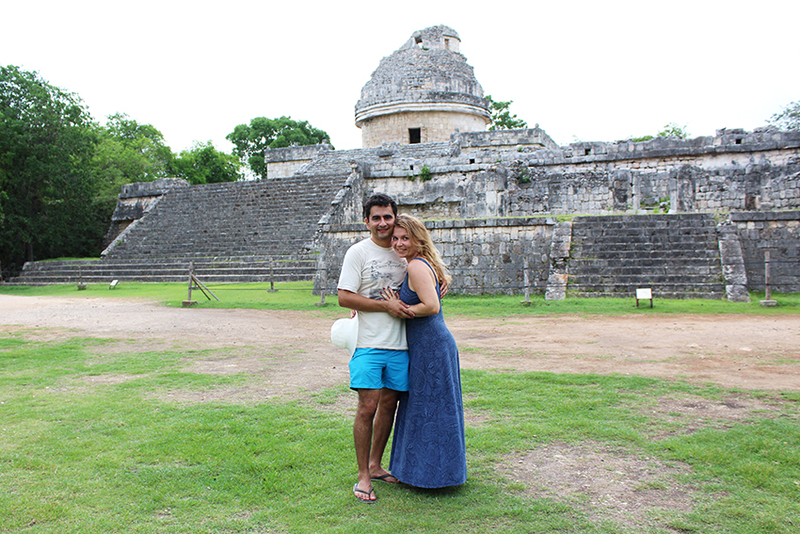 The missus and I pose in front of the Observatory, or ‘El Caracol’. Perhaps the second most famous structure in Chichén Itzá is the Observatory, also called “El Caracol” because of its snail-shaped staircase inside. This is the one building that needs to be walked into, but it unfortunately also forbids people from exploring its interior. 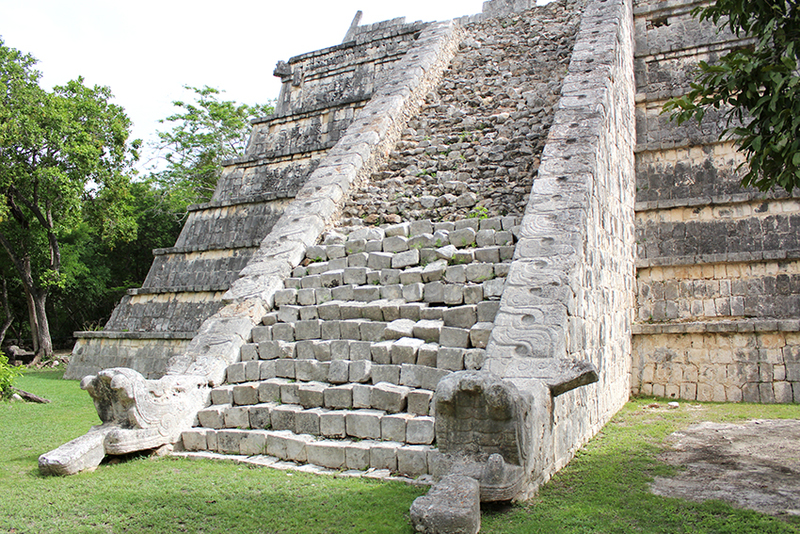 The Nunnery of Chichén Itzá. The missus posing in front of the Nunnery/Monastery neighborhood. Several smaller temples featuring two snakes descending from the stairway. 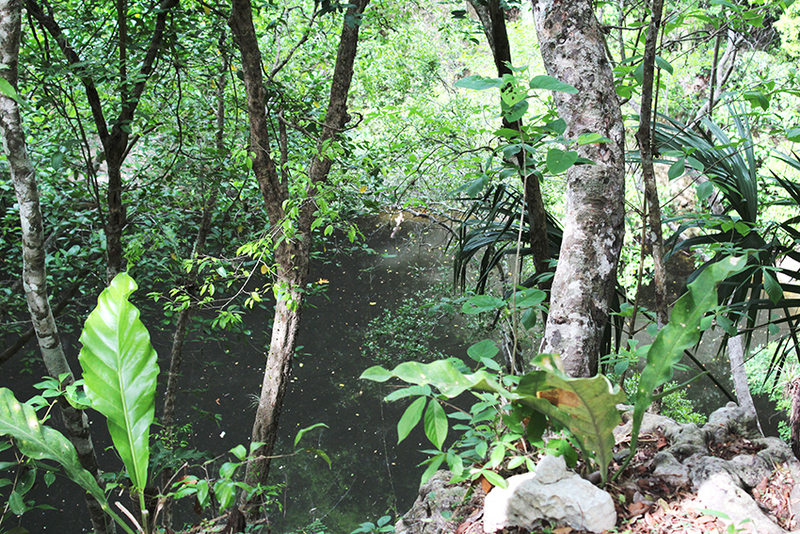 Cenote Iguana (X’toloc), located right inside Chichén Itzá. 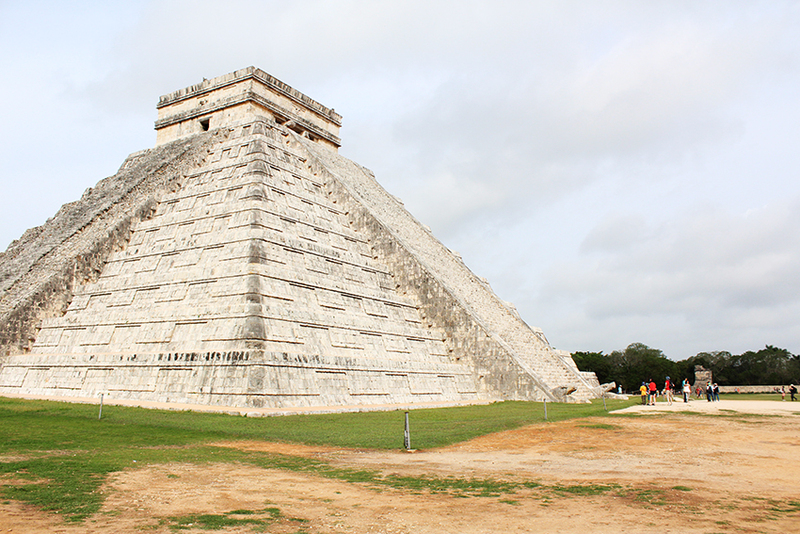 We explored Chichén until 11 a.m. Mexican Standard Time, then we return to our hotel. We passed on the idea of crossing the street to the crowded Ik-Kil cenote, opting instead to take a final dip in the pool. Remember how I said to bring your cash? When I was checking out from the hotel, the front desk guy confirmed that the credit card terminal was not working, and my only choice was to pay cash. St. Gervase Cathedral, facing the town square of Valladolid. Hence, we continued on to the small town of Valladolid, a place that seems to be stuck in colonial times, except for the cars, buses and hipster tourists that invade it. OK, that’s not fair, the tourists are more hippies than hipsters, but who’s counting. I must admit, the first time I went to Valladolid, I wasn’t impressed. 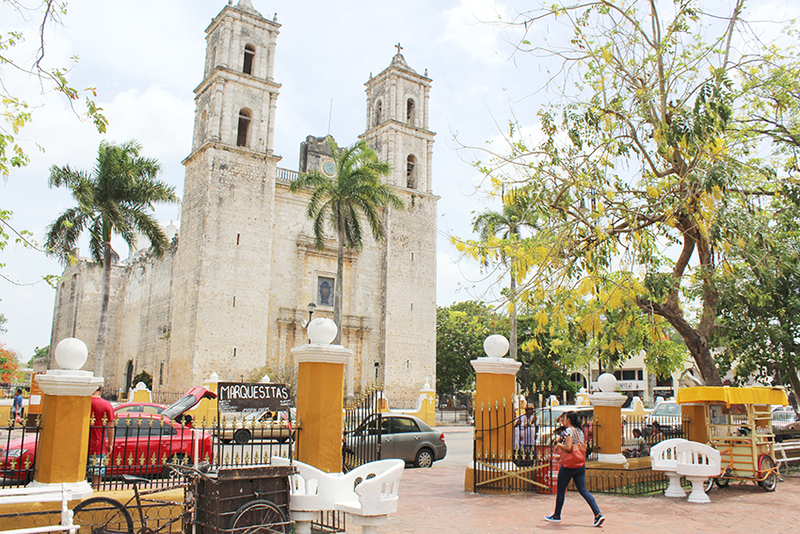 I was driving to Cancún from Tabasco (a debacle that deserves another blog post) and stopped at this town looking for an ATM. And guess which town has every bank except the one I use? So in my pressure to find a cash source, I missed out on the calm rhythm of life in Valladolid. A big platter of the most definitive dishes made in Yucatán state. For 300 pesos, it was worth every penny and then some. I also missed out on a delicious array of food choices, which you can find at the main market for a very good price. 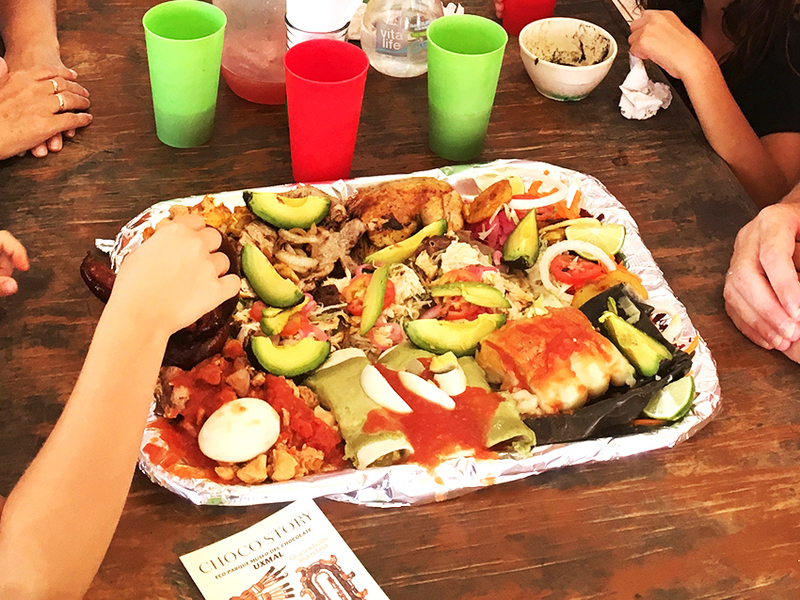 My family and I devoured an entire platter featuring at least eight Yucatecan food staples, and we also got some delicious organic chocolate from surrounding states. When it was time to return to Cancún, we took the freeway back, thinking I’d find a gas station along the way. If this doesn’t make you nervous for 90 miles, you’ve got some guts. Somehow, we made it to the nearest gas station — 90 miles away. Must’ve been the Maya gods pushing us all the way. Getting caught in the freeway without gas didn’t happen only to us. It also happened to my boss’ family. And it also happened to our Russian family friends. With that said, I can’t wait to take this road trip again. Hopefully with more cash and more fuel. 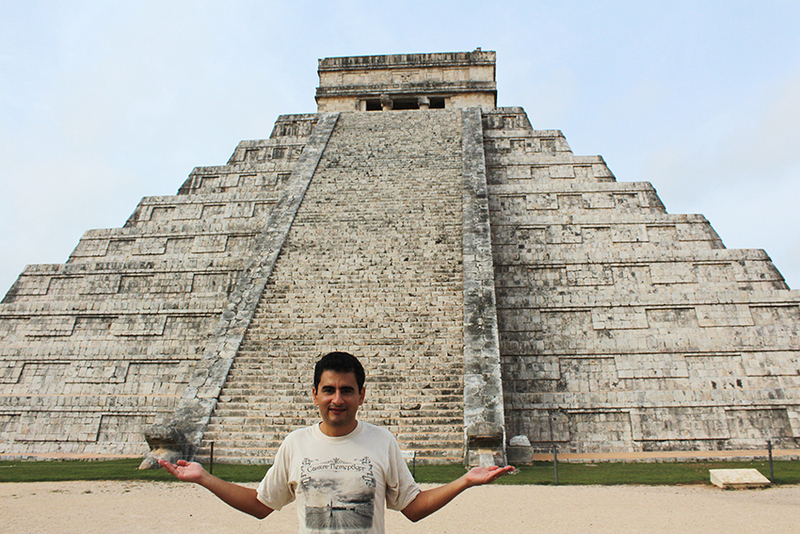 By the way, because even Mexican Standard Time runs out, we didn’t explore the northern sector of Chichén. So we really do need to come back.